Very important remark: If you need the Spare parts Catalog please inform engine model and Serial Number. The serial number of the engine is absolutely necessary information. Deutz Diesel Engine Models Identification (what figures and letters stand for) and Serial Numbers location. PDF for free download. 180021 F 2L 208 F DEUTZ MWM Diesel Engine F 2L 208 F Spare parts Catalog. 180022 F 1L 208D DEUTZ MWM Diesel Engine F1L208D Workshop Manual. 180031 F 1 L210D DEUTZ MWM Diesel Engine F1L210D Workshop Manual. 180051 TD 226B -6 DEUTZ Diesel Engine TD226B -6 Spare parts Catalog. 180052 TD 03-226B DEUTZ Diesel Engine TD03-226B Spare parts Catalog. 180053 TD 04-226B DEUTZ Diesel Engine TD04-226B Spare parts Catalog. 180054 TD 6 226C DEUTZ Diesel Engine TD 6 226C Spare parts Catalog. 180055 TD 06-226B DEUTZ Diesel Engine TD06-226B Spare parts Catalog. 180056 D 3 226B DEUTZ Diesel Engine D 3 226B Spare parts Catalog. 180057 226 B DEUTZ MWM Diesel Engine 226B Operation and Maintenance Manual. 180058 226 DEUTZ MWM Diesel Engine 226 Workshop Manual. Additional Service and Repair Instructions. 180071 TD 232 V-6 DEUTZ Diesel Engine TD232 V-6 Spare parts Catalog. 180081 TBD 234 V12 DEUTZ Diesel Engine TBD234 V12 Spare parts Catalog. 180082 TBD 234 V16 DEUTZ Diesel Engine TBD234 V16 Spare parts Catalog. 180083 D 234 V-6 DEUTZ Diesel Engine D234 V-6 Spare parts Catalog. 180084 G 12M 234V DEUTZ Diesel Engine G12M 234V Spare parts Catalog. 180086 TBD 234 V-6/8/12 DEUTZ MWM Diesel TBD234 V6, V8, V12 Operation manual. 180091 D 3L 327C DEUTZ Diesel Engine D 3L 327C Spare parts Catalog. 180092 D 327 DEUTZ Diesel Engine D327 Workshop Manual. 180101 M358 DEUTZ Diesel Engine R/S/BV6/8 M358 Spare parts Catalog. 180103 R(S)(BV6)(8M) 358 DEUTZ (KHD) Diesel Engine Deutz R(S)(BV6)(8M) 358 Instruction Manual (Operation and Repair). Russian. 180111 F 1L 411 DEUTZ Diesel Engine F1L411 Spare parts Catalog. 180112 F 1L 411D DEUTZ Diesel Engine F1L411D Spare parts Catalog. 180113 F 2L 411 DEUTZ Diesel Engine F2L411 Spare parts Catalog. 180114 F 2L 411D DEUTZ Diesel Engine F2L411D Spare parts Catalog. 180115 F 2L 411DE DEUTZ Diesel Engine F2L411DE Spare parts Catalog. 180116 F2 L4 11W DEUTZ Diesel Engine F2L411W Spare parts Catalog. 180117 TBD 411 DEUTZ - MWM Diesel Engine TBD 411 Operation and Service (Workshop Manual). 180131 BF 10L 413F DEUTZ Diesel Engine BF10L413F Spare parts Catalog. 180132 BF 12L 413 DEUTZ Diesel Engine BF12L413 Spare parts Catalog. 180133 BF 12L 413F DEUTZ Diesel Engine BF12L413F Spare parts Catalog. 180134 BF 12L 413FW DEUTZ Diesel Engine BF12L413FW Spare parts Catalog. 180135 BF 2L 413F DEUTZ Diesel Engine BF2L413F Spare parts Catalog. 180136 BF 6L 413FR DEUTZ Diesel Engine BF6L413FR Spare parts Catalog. 180137 BF 6L 413FRT DEUTZ Diesel Engine BF6L413FRT Spare parts Catalog. 180138 BF 6L 413FRTC DEUTZ Diesel Engine BF6L413FRTC Spare parts Catalog. 180139 BF 8L 413F DEUTZ Diesel Engine BF8L413F Spare parts Catalog. 180140 F 10L 413 DEUTZ Diesel Engine F10L413 Spare parts Catalog. 180141 F 10L 413F DEUTZ Diesel Engine F10L413F Spare parts Catalog. 180142 F10L413FW DEUTZ Diesel Engine F10L413FW Spare parts Catalog. 180143 F 10L 413L DEUTZ Diesel Engine F10L413L Spare parts Catalog. 180144 F 10L 413V DEUTZ Diesel Engine F10L413V Spare parts Catalog. 180145 F 12 L413 DEUTZ Diesel Engine F12L413 Spare parts Catalog. 180146 F 12L 413F DEUTZ Diesel Engine F12L413F Spare parts Catalog. 180147 F 12L 413FW DEUTZ Diesel Engine F12L413FW Spare parts Catalog. 180148 F12L413V DEUTZ Diesel Engine F12L413V Spare parts Catalog. 180149 F 2L 413F DEUTZ Diesel Engine F2L413F Spare parts Catalog. 180150 F 5L 413FR DEUTZ Diesel Engine F5L413FR Spare parts Catalog. 180151 F 5L 413FRW DEUTZ Diesel Engine F5L413FRW Spare parts Catalog. 180152 F 6L413 DEUTZ Diesel Engine F6L413 Spare parts Catalog. 180153 F 6L 413F DEUTZ Diesel Engine F6L413F Spare parts Catalog. 180154 F 6L 413F DEUTZ Diesel Engine F6L413F Spare parts Catalog. 180155 F 6L 413FR DEUTZ Diesel Engine F6L413FR Spare parts Catalog. 180156 F 6L 413FRW DEUTZ Diesel Engine F6L413FRW Spare parts Catalog. 180157 F 6L 413FW DEUTZ Diesel Engine F6L413FW Spare parts Catalog. 180158 F 6L 413FZ DEUTZ Diesel Engine F6L413FZ Spare parts Catalog. 180159 F 6L 413V DEUTZ Diesel Engine F6L413V Spare parts Catalog. 180160 F 8L 413 DEUTZ Diesel Engine F8L413 Spare parts Catalog. 180161 F8L413F DEUTZ Diesel Engine F8L413F Spare parts Catalog. 180162 F8L413FW DEUTZ Diesel Engine F8L413FW Spare parts Catalog. 180163 F 8L 413FZ DEUTZ Diesel Engine F8L413FZ Spare parts Catalog. 180164 F 8L 413V DEUTZ Diesel Engine F8L413V Spare parts Catalog. 180165 413 DEUTZ Diesel Engine 413 Spare parts Catalog. 180166 B/FL 413 F/W DEUTZ Diesel Engine B/FL 413 F/W Operation Manual. 180171 TBD 440-8K DEUTZ Diesel Engine TBD440-8K Spare parts Catalog. 180181 TBD 441 V12 DEUTZ Diesel Engine TBD441 V12 Spare parts Catalog. 180182 TBG 16M 441VD DEUTZ Diesel Engine TBG16M 441VD Spare parts Catalog. 180191 TBD 6M 510BL DEUTZ Diesel Engine TBD 6M 510BL Spare parts Catalog. 180192 TBD 8M 510BL DEUTZ Diesel Engine TBD 8M 510BL Spare parts Catalog. 180193 TBD 510L DEUTZ Diesel Engine TBD 510L Workshop Manual. 180201 F 1L 511 DEUTZ Diesel Engine F1L511 Spare parts Catalog. 180202 F 1 L 511CKD DEUTZ Diesel Engine F1L511CKD Spare parts Catalog. 180203 F 1L 511D DEUTZ Diesel Engine F1L511D Spare parts Catalog. 180204 F 2L 511 DEUTZ Diesel Engine F2L511 Spare parts Catalog. 180205 F 2L 511CKD DEUTZ Diesel Engine F2L511CKD Spare parts Catalog. 180206 F 2L 511D DEUTZ Diesel Engine F2L511D Spare parts Catalog. 180207 F2L511W DEUTZ Diesel Engine F2L511W Spare parts Catalog. 180208 2L511 DEUTZ Diesel Engine 2L511 Workshop Manual. 180209 F1 L 511/W, F 2L 511/W DEUTZ Diesel Engine F1L511/W, F2L511/W Workshop Manual. 180221 BF 6L 513R DEUTZ Diesel Engine BF6L513R Spare parts Catalog. 180222 BF 6L 513RC DEUTZ Diesel Engine BF6L513RC Spare parts Catalog. 180223 BF 8L 513 DEUTZ Diesel Engine BF8L513 Spare parts Catalog. 180224 BF 8L 513C DEUTZ Diesel Engine BF8L513C Spare parts Catalog. 180225 BF 8L 513CP DEUTZ Diesel Engine BF8L513CP Spare parts Catalog. 180226 BF 8L 513LC DEUTZ Diesel Engine BF8L513LC Spare parts Catalog. 180227 F8 L 513 DEUTZ Diesel Engine F8L513 Spare parts Catalog. 180228 BF 10L 513 DEUTZ Diesel Engine BF10L513 Spare parts Catalog. 180229 BF 12L 513 DEUTZ Diesel Engine BF12L513 Spare parts Catalog. 180230 BF 12L 513C DEUTZ Diesel Engine BF12L513C Spare parts Catalog. 180231 F 10L 513 DEUTZ Diesel Engine F10L513 Spare parts Catalog. 180232 B513 / F513 DEUTZ Diesel Engine B/F/513 Workshop Manual. 180241 BA 8M 528 R DEUTZ Diesel Engine BA 8M 528 R Spare parts Catalog. 180242 BA 12M 528 V DEUTZ Diesel Engine BA12M 528 V Spare parts Catalog. 180243 BA 16M 528 V DEUTZ Diesel Engine BA16M 528 V Spare parts Catalog. 180244 BA 6M 528 R DEUTZ Diesel Engine BA 6M 528 R Spare parts Catalog. 180245 SBA 12/16 M 528 DEUTZ Diesel Engine SBA 12/16 M 528 Operation Manual. 180246 SBA 12/16 M 528 DEUTZ Diesel Engine SBA 12/16 M 528 Workshop Manual. 180261 RBV 12M 540 DEUTZ Diesel Engine RBV 12M 540 Spare parts Catalog. 180262 BV 8M 540 DEUTZ Diesel Engine BV 8M 540 Spare parts Catalog. 180263 BV 06M 540 DEUTZ Diesel Engine BV06M 540 Spare parts Catalog. 180264 BV 16M 540 DEUTZ Diesel Engine BV16M 540 Spare parts Catalog. 180265 6/8 R/S/BVM 540 DEUTZ Diesel Engine 6/8 R/S/BVM 540 Instruction Manual. 180266 12/16 R/S/BVM 540 DEUTZ Diesel Engine 12/16 R/S/BVM 540 Operation Manual. 180281 545 DEUTZ Diesel Engine VM, SVM, RVM, BVM, SBVM, RBVM 545 (6 and 8 cylinder) Spare parts Catalog. 180282 6/8 R/S/BVM 545 DEUTZ Diesel Engine 6/8 R/S/BVM 545 Operation Manual. 180291 TBD601-6S DEUTZ Diesel Engine TBD601-6S Spare parts Catalog. 180301 TBD16M 602VK DEUTZ Diesel Engine TBD16M 602VK Spare parts Catalog. 180311 TBD 6 604V DEUTZ Diesel Engine TBD 6 604V Spare parts Catalog. 180312 TBD 06 604BL DEUTZ Diesel Engine TBD 06 604BL Spare parts Catalog. 180313 TBG16 604CV DEUTZ Diesel Engine TBG16 604CV Spare parts Catalog. 180321 TBD 616 V-8 DEUTZ Diesel Engine TBD616 V-8 Spare parts Catalog. 180322 TBD 616 V12 DEUTZ Diesel Engine TBD616 V12 Spare parts Catalog. 180323 TBD 616 V16 DEUTZ Diesel Engine TBD616 V16 Spare parts Catalog. 180324 TBG 8 616V DEUTZ Diesel Engine TBG 8 616V Spare parts Catalog. 180325 TBG 12M 616V DEUTZ Diesel Engine TBG 12M 616V Spare parts Catalog. 180326 TBG 616 V16K DEUTZ Diesel Engine TBG 616 V16K Spare parts Catalog. 180327 TBG16M 616V DEUTZ Diesel Engine TBG16M 616V Spare parts Catalog. 180330 TBD 616 DEUTZ MWM (KHD) diesel TBD616 Workshop Manual (198 pages). Service letters and Bulletins. Measurement Records. 180331 TBD 616 DEUTZ diesel TBD 616 Workshop Manual (332 pages). Service letters and Bulletins. Measurement Records. 180341 TBD 16M 620V DEUTZ Diesel Engine TBD 16M 620V Spare parts Catalog. 180342 TBD620 V-8 DEUTZ Diesel Engine TBD620 V-8 Spare parts Catalog. 180343 TBG 620 V12 DEUTZ Diesel Engine TBG 620 V12 Spare parts Catalog. 180345 TBG16M 620V DEUTZ Diesel Engine TBG16M 620V Spare parts Catalog. 180346 TBD620 V16 DEUTZ Diesel Engine TBD620 V16 Spare parts Catalog. 180348 TBD 620 V8, V12, V16 DEUTZ Diesel Engines TBD V8, V12, V16 WorkShop Manual. 180361 S/BV 6M 628 DEUTZ Diesel Engine S/BV 6M 628 Spare parts Catalog. 180362 S/BV 8M 628 DEUTZ Diesel Engine S/BV 8M 628 Spare parts Catalog. 180363 BVM 06M 628 DEUTZ Diesel Engine BVM 06M 628 Spare parts Catalog. 180364 BV 6M 628 DEUTZ Diesel Engine BV 6M 628 Spare parts Catalog. 180365 BVM 08M 628 DEUTZ Diesel Engine BVM 08M 628 Spare parts Catalog. 180366 SBV 9M 628 DEUTZ Diesel Engine SBV 9M 628 Spare parts Catalog. 180367 S/BV12M 628 DEUTZ Diesel Engine S/BV12M 628 Spare parts Catalog. 180368 BV16M 628 DEUTZ Diesel Engine BV16M 628 Spare parts Catalog. 180369 BVM 16M 628 DEUTZ Diesel Engine BVM 16M 628 Spare parts Catalog. 180370 S/BV16M 628 DEUTZ Diesel Engine S/BV16M 628 Spare parts Catalog. 180371 S/BV6/8/9M628 DEUTZ Diesel Engine S/BV6/8/9M628 Operation, Maintenance and Repair Manual. Additional Service Information. 180372 S/BV12/16M628 DEUTZ Diesel Engine S/BV12/16M628 Operation, Maintenance and Repair Manual. Additional Service Information. 180381 TBD 16V632 DEUTZ Diesel Engine TBD 16V632 Spare parts Catalog. 180382 TBG 632 V16 DEUTZ Diesel Engine TBG 632 V16 Spare parts Catalog. 180383 TBG 16 632L DEUTZ Diesel Engine TBG 16 632L Spare parts Catalog. 180391 BV12M 640 DEUTZ Diesel Engine BV12M 640 Spare parts Catalog. 180392 BV16M 640 DEUTZ Diesel Engine BV16M 640 Spare parts Catalog. 180401 TBD645 L-6 DEUTZ Diesel Engine TBD645 L-6 Spare parts Catalog. 180402 TBD645 L-9 DEUTZ Diesel Engine TBD645 L-9 Spare parts Catalog. 180411 8M 716 DEUTZ Diesel Engine 8M 716 Spare parts Catalog. 180412 M 716 DEUTZ Diesel Engine F3/4/6/8/12/16 M716 Spare parts Catalog. 180421 BA 6/8/ M 816 DEUTZ Diesel Engine BA 6/8/ M 816 Spare parts Catalog. 180422 BA 12/16 M 816 DEUTZ Diesel Engine BA 12/16 M 816 Spare parts Catalog. 180423 SBA12M 816 DEUTZ Diesel Engine SBA12M 816 Spare parts Catalog. 180424 BA 6M 816R DEUTZ Diesel Engine BA 6M 816R Spare parts Catalog. 180425 BA 6M 816 DEUTZ Diesel Engine BA 6M 816 Spare parts Catalog. 180426 SBA 6M 816 DEUTZ Diesel Engine SBA 6M 816 Spare parts Catalog. 180427 BA 6M 816 R DEUTZ Diesel Engine BA 6M 816 R Spare parts Catalog. 180428 BA 8M 816 R DEUTZ Diesel Engine BA 8M 816 R Spare parts Catalog. 180429 BA 8M 816U DEUTZ Diesel Engine BA 8M 816U Spare parts Catalog. 180430 SBA 8M 816 DEUTZ Diesel Engine SBA 8M 816 Spare parts Catalog. 180431 BA 12M 816 V DEUTZ Diesel Engine BA12M 816 V Spare parts Catalog. 180432 BA 12M 816 DEUTZ Diesel Engine BA12M 816 Spare parts Catalog. 180433 BA16M 816 V DEUTZ Diesel Engine BA16M 816 V Spare parts Catalog. 180434 SBA 6M 816R DEUTZ Diesel Engine SBA 6M 816R Spare parts Catalog. 180435 A 6M 816 R DEUTZ Diesel Engine A 6M 816 R Spare parts Catalog. 180436 SBA 6M 816U DEUTZ Diesel Engine SBA 6M 816U Spare parts Catalog. 180437 M 816 DEUTZ Diesel Engine BA 6/8/12/16 M816 Workshop Manual. 180441 909 DEUTZ Diesel Engine 909 Operation Manual. 180451 910 DEUTZ Diesel Engine 910 Operation Manual. 180461 F 2L 912 DEUTZ Diesel Engine F2L912 Spare parts Catalog. 180462 F 2L 912D DEUTZ Diesel Engine F2L912D Spare parts Catalog. 180463 F 2L 912W DEUTZ Diesel Engine F2L912W Spare parts Catalog. 180464 F 3L 912 DEUTZ Diesel Engine F3L912 Spare parts Catalog. 180465 F 3L 912CKD DEUTZ Diesel Engine F3L912CKD Spare parts Catalog. 180466 F 3L 912D DEUTZ Diesel Engine F3L912D Spare parts Catalog. 180467 F 3L 912F DEUTZ Diesel Engine F3L912F Spare parts Catalog. 180468 F 3L 912GEN DEUTZ Diesel Engine F3L912GEN Spare parts Catalog. 180469 F3L912H DEUTZ Diesel Engine F3L912H Spare parts Catalog. 180470 F 3L 912W DEUTZ Diesel Engine F3L912W Spare parts Catalog. 180471 F4L912 DEUTZ Diesel Engine F4L912 Spare parts Catalog. 180472 F 4L 912CKD DEUTZ Diesel Engine F4L912CKD Spare parts Catalog. 180473 F 4L 912D DEUTZ Diesel Engine F4L912D Spare parts Catalog. 180474 F 4L 912GEN DEUTZ Diesel Engine F4L912GEN Spare parts Catalog. 180475 F 4L 912H DEUTZ Diesel Engine F4L912H Spare parts Catalog. 180476 F 4L 912W DEUTZ Diesel Engine F4L912W Spare parts Catalog. 180477 F 5L 912 DEUTZ Diesel Engine F5L912 Spare parts Catalog. 180478 F 5L 912CKD DEUTZ Diesel Engine F5L912CKD Spare parts Catalog. 180479 F 5L 912D DEUTZ Diesel Engine F5L912D Spare parts Catalog. 180480 F 5L 912F DEUTZ Diesel Engine F5L912F Spare parts Catalog. 180481 F 5L 912W DEUTZ Diesel Engine F5L912W Spare parts Catalog. 180482 F 6L 912 DEUTZ Diesel Engine F6L912 Spare parts Catalog. 180483 F 6L 912B DEUTZ Diesel Engine F6L912B Spare parts Catalog. 180484 F 6L 912D DEUTZ Diesel Engine F6L912D Spare parts Catalog. 180485 F 6L 912F DEUTZ Diesel Engine F6L912F Spare parts Catalog. 180486 F 6L 912FH DEUTZ Diesel Engine F6L912FH Spare parts Catalog. 180487 F 6L 912GEN DEUTZ Diesel Engine F6L912GEN Spare parts Catalog. 180488 F 6L 912W DEUTZ Diesel Engine F6L912W Spare parts Catalog. 180489 912-913 DEUTZ Diesel Engine 912-913 Spare parts Catalog. 180490 F/BF L912, L913C DEUTZ Diesel Engine F/BF L912, L913C Workshop Manual. 180501 BF 4L 913 DEUTZ Diesel Engine BF4L913 Spare parts Catalog. 180502 BF 4L 913C DEUTZ Diesel Engine BF4L913C Spare parts Catalog. 180503 BF 4L 913H DEUTZ Diesel Engine BF4L913H Spare parts Catalog. 180504 BF 4L 913T DEUTZ Diesel Engine BF4L913T Spare parts Catalog. 180505 BF 6L 913 DEUTZ Diesel Engine BF6L913 Spare parts Catalog. 180506 BF 6L 913C DEUTZ Diesel Engine BF6L913C Spare parts Catalog. 180507 BF 6L 913CKD DEUTZ Diesel Engine BF6L913CKD Spare parts Catalog. 180508 BF 6L 913D DEUTZ Diesel Engine BF6L913D Spare parts Catalog. 180509 BF 6L 913T DEUTZ Diesel Engine BF6L913T Spare parts Catalog. 180510 F 3L 913 DEUTZ Diesel Engine F3L913 Spare parts Catalog. 180511 F 3L 913CKD DEUTZ Diesel Engine F3L913CKD Spare parts Catalog. 180512 F 3L 913G DEUTZ Diesel Engine F3L913G Spare parts Catalog. 180513 F3L913H DEUTZ Diesel Engine F3L913H Spare parts Catalog. 180514 F 4L 913 DEUTZ Diesel Engine F4L913 Spare parts Catalog. 180515 F 4L 913CKD DEUTZ Diesel Engine F4L913CKD Spare parts Catalog. 180516 F 4L 913D DEUTZ Diesel Engine F4L913D Spare parts Catalog. 180517 F 4L 913H DEUTZ Diesel Engine F4L913H Spare parts Catalog. 180518 F 6L 913 DEUTZ Diesel Engine F6L913 Spare parts Catalog. 180519 F 6L 913CKD DEUTZ Diesel Engine F6L913CKD Spare parts Catalog. 180520 F 6L 913D DEUTZ Diesel Engine F6L913D Spare parts Catalog. 180521 F 6L 913H DEUTZ Diesel Engine F6L913H Spare parts Catalog. 180531 914 DEUTZ Diesel Engine 914 Spare parts Catalog. 180532 F 3L 914 DEUTZ Diesel Engine F3L914 Spare parts Catalog. 180533 F 5L 914 DEUTZ Diesel Engine F5L914 Spare parts Catalog. 180534 F 6L 914 DEUTZ Diesel Engine F6L914 Spare parts Catalog. 180535 BF 4L 914 DEUTZ Diesel Engine BF4L914 Spare parts Catalog. 180536 BF 4L 914 DEUTZ Diesel Engine BF4L914 Spare parts Catalog. 180537 F/BF L914 DEUTZ Diesel Engine F/BF L914C/T Workshop Manual. 180551 D 2M 916C DEUTZ Diesel Engine D 2M 916C Spare parts Catalog. 180552 D D6-916C DEUTZ Diesel Engine D D6-916C Spare parts Catalog. 180600 BF 4M1008 DEUTZ Diesel Engine BF4M1008 Spare parts Catalog. 180601 F 2M1008 DEUTZ Diesel Engine F2M1008 Spare parts Catalog. 180602 F 3M1008 DEUTZ Diesel Engine F3M1008 Spare parts Catalog. 180603 F 4M1008 DEUTZ Diesel Engine F4M1008 Spare parts Catalog. 180604 1008 DEUTZ Diesel Engine 1008 Operation Manual. 180605 BF/FM 1008 / 1008F DEUTZ F2M 1008, F3M 1008, F4M 1008, BF4M 1008, F2M 1008F, F3M 1008F, F4M 1008F Diesel Engine Workshop Manual. 180621 BF 3M1011F DEUTZ Diesel Engine BF3M1011F Spare parts Catalog. 180622 BF 4L1011 DEUTZ Diesel Engine BF4L1011 Spare parts Catalog. 180623 BF 4L1011F DEUTZ Diesel Engine BF4L1011F Spare parts Catalog. 180624 BF 4L1011FT DEUTZ Diesel Engine BF4L1011FT Spare parts Catalog. 180625 BF 4L1011T DEUTZ Diesel Engine BF4L1011T Spare parts Catalog. 180626 BF 4M1011 DEUTZ Diesel Engine BF4M1011 Spare parts Catalog. 180627 BF 4M1011F DEUTZ Diesel Engine BF4M1011F Spare parts Catalog. 180628 F 2L1011 DEUTZ Diesel Engine F2L1011 Spare parts Catalog. 180629 F 2L1011F DEUTZ Diesel Engine F2L1011F Spare parts Catalog. 180630 F 2M1011 DEUTZ Diesel Engine F2M1011 Spare parts Catalog. 180631 F 3L1011 DEUTZ Diesel Engine F3L1011 Spare parts Catalog. 180632 F 3L1011E DEUTZ Diesel Engine F3L1011E Spare parts Catalog. 180633 F 3L1011F DEUTZ Diesel Engine F3L1011F Spare parts Catalog. 180634 F 3M1011F DEUTZ Diesel Engine F3M1011F Spare parts Catalog. 180635 F 4L1011 DEUTZ Diesel Engine F4L1011 Spare parts Catalog. 180636 F 4L1011E DEUTZ Diesel Engine F4L1011E Spare parts Catalog. 180637 F 4L1011F DEUTZ Diesel Engine F4L1011F Spare parts Catalog. 180638 F 4M1011F DEUTZ Diesel Engine F4M1011F Spare parts Catalog. 180639 LF 3M1011F DEUTZ Diesel Engine LF3M1011F Spare parts Catalog. 180640 LF 4M1011F DEUTZ Diesel Engine LF4M1011F Spare parts Catalog. 180641 BF 4L1011T DEUTZ Diesel Engine BF4L1011T Spare parts Catalog. 180642 F-BF(M-L) 1011F DEUTZ Diesel Engine F-BF(M-L)1011F Spare parts Catalog. 180643 FL 1011 DEUTZ Diesel Engine FL1011 Spare parts Catalog. 180644 FL 1011E DEUTZ Diesel Engine FL1011E Spare parts Catalog. 180645 F2 M1011 DEUTZ Diesel Engine F2M1011 Spare parts Catalog. 180646 F-BF(L) 1011E DEUTZ Diesel Engine F-BF(L) 1011E Workshop Manual. 180647 F-BF(L) 1011T DEUTZ Diesel Engine F-BF(L) 1011T Workshop Manual. 180648 F-BF(L-M) 1011F DEUTZ Diesel Engine F-BF(L-M) 1011F Workshop Manual. 180649 F-BF(L-M) 1011F DEUTZ Diesel Engine F-BF(L-M) 1011F, competence level 2 Workshop Manual. 180661 BF M1012/E DEUTZ Diesel Engine BFM1012/E, BFM1013/E competence level 2 Workshop Manual. 180662 BF M1012/E DEUTZ Diesel Engine BFM1012/E, BFM1013/E Workshop Manual. 180663 BF M1012/E DEUTZ Diesel Engine BFM1012/E, BFM1013/E Workshop Manual. 180664 BF 4M1012 DEUTZ Diesel Engine BF4M1012 Spare parts Catalog. 180665 BF 4M1012C DEUTZ Diesel Engine BF4M1012C Spare parts Catalog. 180666 BF 4M1012E DEUTZ Diesel Engine BF4M1012E Spare parts Catalog. 180667 BF 4M1012EC DEUTZ Diesel Engine BF4M1012EC Spare parts Catalog. 180668 BF 6M1012 DEUTZ Diesel Engine BF6M1012 Spare parts Catalog. 180669 BF 6M1012C DEUTZ Diesel Engine BF6M1012C Spare parts Catalog. 180670 BF 6M1012E DEUTZ Diesel Engine BF6M1012E Spare parts Catalog. 180671 BF 6M1012EC DEUTZ Diesel Engine BF6M1012EC Spare parts Catalog. 180681 BF M1013/E DEUTZ Diesel Engine BFM1012/E, BFM1013/E competence level 2 Workshop Manual. 180682 BF M1013/E DEUTZ Diesel Engine BFM1012/E, BFM1013/E Workshop Manual. 180683 BF M1013/E DEUTZ Diesel Engine BFM1012/E, BFM1013/E Workshop Manual. 180684 BF 4M1013 DEUTZ Diesel Engine BF4M1013 Spare parts Catalog. 180685 BF 4M1013C DEUTZ Diesel Engine BF4M1013C Spare parts Catalog. 180686 BF 4M1013E DEUTZ Diesel Engine BF4M1013E Spare parts Catalog. 180687 BF4M1013EC DEUTZ Diesel Engine BF4M1013EC Spare parts Catalog. 180688 BF 6M1013 DEUTZ Diesel Engine BF6M1013 Spare parts Catalog. 180689 BF 6M1013C DEUTZ Diesel Engine BF6M1013C Spare parts Catalog. 180690 BF 6M1013CP DEUTZ Diesel Engine BF6M1013CP Spare parts Catalog. 180691 BF 6M1013E DEUTZ Diesel Engine BF6M1013E Spare parts Catalog. 180692 BF 6M1013EC DEUTZ Diesel Engine BF6M1013EC Spare parts Catalog. 180693 BF 6M1013ECP DEUTZ Diesel Engine BF6M1013ECP Spare parts Catalog. 180694 BF 6M1013FC DEUTZ Diesel Engine BF6M1013FC Spare parts Catalog. 180695 BF-M 1013M marine DEUTZ Diesel Engine BF-M 1013M marine Spare parts Catalog. 180696 BF M1013M DEUTZ Diesel Engine BF-M1013M (N 02979746) Workshop Manual. 180701 1015 marine DEUTZ Diesel Engine 1015 marine Operation Manual. 180702 BF 6M1015 DEUTZ Diesel Engine BF6M1015 Spare parts Catalog. 180703 BF 8M1015C DEUTZ Diesel Engine BF8M1015C Spare parts Catalog. 180704 BFM 1015 DEUTZ Diesel Engine BFM1015 Operation Manual. 180711 D 4L 2008 DEUTZ Diesel Engine D 4L2008 Spare parts Catalog. 180712 D 2008, D 2009 DEUTZ Diesel Engine D2008, D2009 Workshop Manual. 180713 D 2008 DEUTZ Diesel Engine D2008 Workshop Manual. 180714 2008-2009 DEUTZ Diesel Engine 2008-2009 Operation Manual. 180721 D 3L 2009 DEUTZ Diesel Engine D 3L2009 Spare parts Catalog. 180722 D 4L 2009 DEUTZ Diesel Engine D 4L2009 Spare parts Catalog. 180723 TD 4L 2009 DEUTZ Diesel Engine TD 4L2009 Spare parts Catalog. 180735 2011 DEUTZ Diesel Engine 2011 Operation manual. 180736 F/BF (L/M) 2011 DEUTZ Diesel Engine F/BF (L/M) Deutz 2011 Workshop manual. 180737 D/TD/TCD 2011W DEUTZ Diesel Engine D/TD/TCD 2011W Workshop Manual. 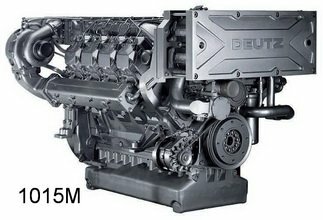 180747 2012 DEUTZ Diesel Engine 2012 Operation Manual. 180748 BFM 2012 DEUTZ Diesel Engine BFM 2012 Service Manual. 180749 TCD2012, TCD2013 DEUTZ Diesel Engine TCD2012, TCD2013 Operation Manual. 180765 2013 DEUTZ Diesel Engine 2013 Operation Manual. 180766 TCD 2013 4V DEUTZ Diesel Engine TCD 2013 4V Workshop Manual. 180783 2015 DEUTZ Diesel Engine 2015 Operation Manual. 180784 TCD 2015 DEUTZ Diesel Engine TCD 2015 Workshop Manual (Railway). 180785 TCD 2015 DEUTZ Diesel Engine TCD 2015 Workshop Manual (competence level 2). 180786 TCD 2015 DEUTZ Diesel Engine TCD 2015 Workshop Manual (competence level 3).